Accutemp HVAC, based in Wilton Connecticut, has provided quality installations and service in the HVAC industry since 1997. We have built a tremendous reputation with our dedication to installing only A+ HVAC systems and maintenance. Owner, Rocky Delfino, is a hands-on operator along with a controlled staff of licensed, trained installation and service technicians who take pride in our work and reputation. We design and install HVAC systems for residential and commercial installations. 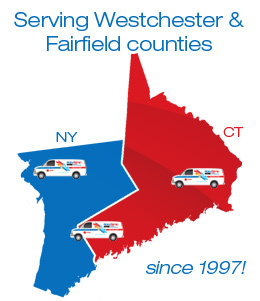 We cover Fairfield and Westchester County.